Steam's New Built-In Game FAQs Are Pretty Good! First announced last month, Valve today announced the formal release of its Game Guides Feature, adding the ability for users to compile their own guides to games (or parts of games), then have other users enjoy and rate them. Steam Wants To Take On GameFAQs, Testing "Game Guides"
While there's not exactly a tome of reference material there now, what is there shows the service certainly has potential. The guides can be easily broken up into hotlinked chapters, and the use of images also makes illustrating points pretty easy. 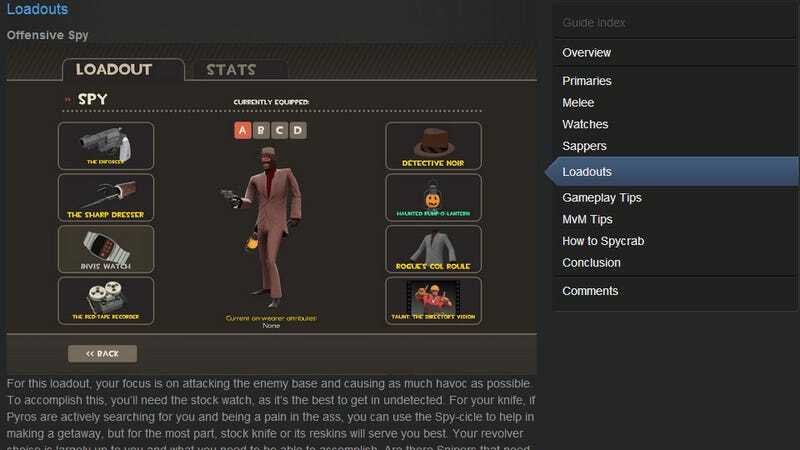 This Team Fortress 2 guide is a good example of what the service is capable of, with images and even video dropped in where needed to really help get a point across. Take a look at it, then go look at an ASCII-filled guide on GameFAQs, and tell me which one you'd prefer to be using for the next ten years.